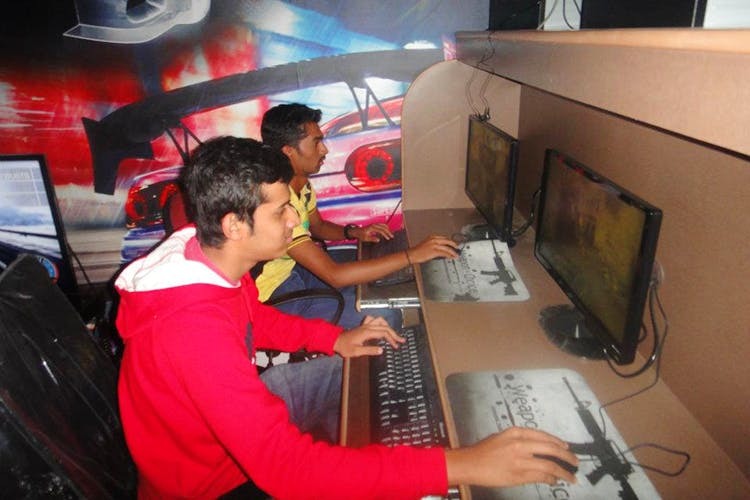 Antharal Gamebridge in Basavangudi lets you play PC and Play Station games 7 days a week. Are you bored of gaming sitting alone in your room? If you nodded yes, then, head to Antharal Gamebridge along with your gaming buddies. This little space in Basavangudi is often packed with college students who’ve bunked their class hours and are looking for a place to kill time. It is equipped with 16 PC’s on which you can play all your favourite games, Call Of Duty, Counter Strike, Playerunknown's Battlegrounds (very famously known as PUBG) and Defence Of The Ancients (DOTA). Every PC is dedicated completely only for gaming, from software to the hardware equipment including, gaming mouse, headsets and the keyboard, which makes it an overall packaged experience. They also have one Play Station 3 which can be used to play FIFA, both single player and multi-player. The best part about this gaming centre is the prices. You can game on the PC’s for just INR 40 for an hour and the PS3, INR 100 per hour for single player & INR 150 for multi-player. You can also purchase chips, juice and snacks, munch on them while you game your life away.